There are many Japanese restaurants in Chatswood and as such it takes something special to stand out. 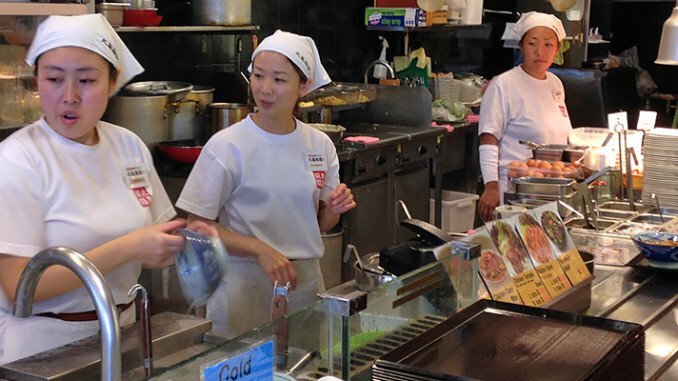 Marukame has 781 shops in Japan and the only one in Australia is a definite must try for all noodle enthusiasts. When specialising in a single dish there are high hopes that it’s a good one. 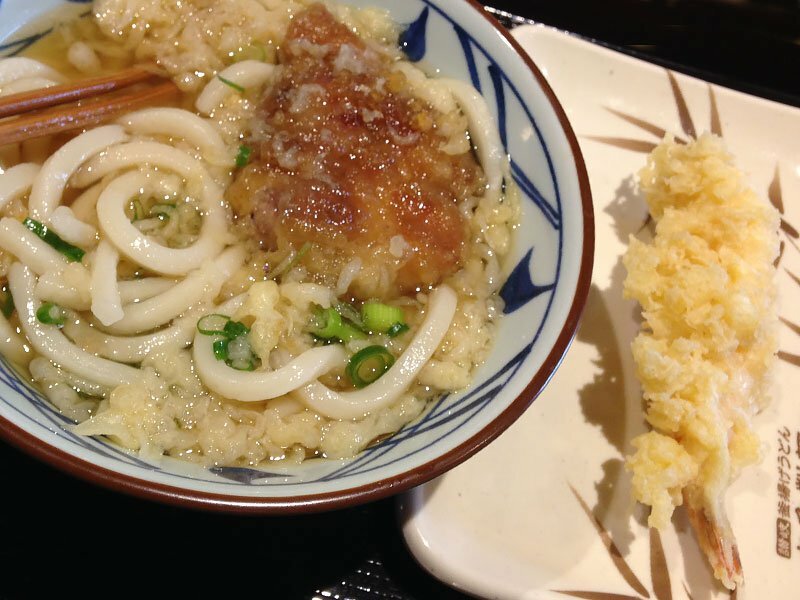 Marukame takes pride in the preparation, presentation and overall quality of the Udon they provide to their customers. They offer a various selection of Udon dishes and tempura accompaniments and the staff are energetic and bubbly. Our noodles have to be freshly made, just been boiled and lightened in cold water straight away. Ordering a meal takes on something reminiscent of a cafeteria as you shuffle along the counter choosing sizes, tempura, servings of tea and sauces. The helpings are quite generous and with the option between medium, large and extra large it’s sure to stop even the biggest of eaters in their tracks. Next, you can head on over to the condiment table and this was an absolute delight for me. The ingredients are self-serve and adding items like tempura crumbs, shallots, ginger and sesame seeds really takes your meal into a different place. And I don’t mean your table. There are two levels to Marukame and this isn’t just the interior. There is the option of hot and cold Udon meals and both work well with a different range of flavours. Sanuki Udon is the style of choice for Marukame and it consists of just flour, salt and water. This seems quite bland but when paired with its partner in crime Dashi; the soup stock, a soy-flavoured bundle of fish and seaweed leaves you craving more. Something special is being done at this restaurant. I sat down to an Udon and Teriyaki with prawn tempura and I have never been so excited to get a meal again. The noodles were exactly as promised and have a satisfying sense of resistance when you eat them. They don’t just give in, unlike the England Cricket Team and hold a firm spongy texture. Like many of the restaurants in Chatswood a feeling of satisfaction inflates you as you depart. Marukame though is one of my top picks from the whole suburb and this is saying a lot. The food is very well priced with a decent meal under $10 and as previously mentioned I haven’t been this excited to go back somewhere since Christmas Day when I still believed in Santa. Marukame is an establishment run with the interest of the customer at heart. From the generous self-serve station to the enthusiastic greetings and farewells this really is a place you should tick off your Chatswood food bucket list. After all, it’s the best one in the whole country. Joel Maguire is in his third year of study at UNSW and his second year of Media (Screen and Sound). He enjoys creative writing, making videos for his YouTube channel and avoiding the wrath of his tiger mum. Joel has always been a creative person and as such uses writing as a form of expression. Having passions in the fields of acting and dance he has a vested interest in the cultural development of the Ku-Ring-Gai area. In a perfect world Joel would write satirical dating profiles for every human being on the planet.